Today, there are various different kinds of data recovery software available. These software assist a user to recover their data from unexpected situations, such as hardware failure, data failure, corrupted files, hard disk crash, OS crash, virus attack etc. 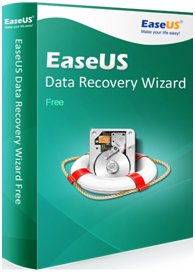 EaseUS data recovery software is one of the finest data recovery software available today. The software offers a number of additional features and benefits. It explores the full potential of a data recovery software and does not compromise on any features. It can assist you to recover all types of data from all unexpected situations. It also extends supports to a number of secondary storage devices such as external hard disk, SD card, mobile phones, MP3, pen drives etc. The recovery process is efficient and smooth. The software is configured to offer a smooth user experience. The first screen that you open tells you to specify the file type that you want to search for. There are 6 files types from which you can choose from. This allows the software to search for specific files and ignore other file types, while efficiently cutting down the search time. It also offers a great level freedom to the user. The software then asks the user to specify the drive where the file was previously stored. This also helps down in cutting the search time and makes the process more sufficient. You may also see be able to see your lost partition on this screen if a hardware failure had occurred and you had lost it. The software consists of two different types of scan modes, which are quick scan and deep scan mode. When the user first launches the search process, after selecting a location for the search, a quick search takes place. The deep scan mode can be used to further look into the directories, if the quick scan does not return any results. It searches through the drives for any lost files that were lost recently, or were simply deleted from the recycle bin. It does not take much time to complete the search and is pretty fast. This mode allows for a deeper and more through scan, and takes more time than the quick scan mode. It dives into the memory to recover any data or files through lost memory fragments. If your files weren’t found in quick scan mode, deep scan mode will be great help. Once your desired files have been found, all you need to do is select the file and preview the content inside. Once the file’s content has been confirmed, you can easily recover the file by the click of a button. If you wish to recover multiple files, this can also be done easily. Moreover, you can also filter the various file types in this screen. From the beginning of the scanning procedure to the very end, EaseUS data and file recovery software places the full power of recovery into the user’s hand. By using this software, you can reverse your loss of data and feel at ease again.